The Jessica bedroom collection features exquisite contemporary design features. Romantic ambient lighting below the platform bed, the bold light cappuccino finish, and silver tone bar handles come together to create a sophisticated style. 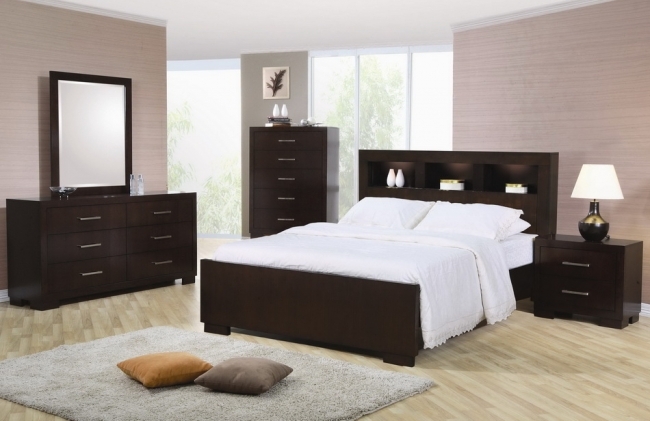 Spacious storage options feature drawers built with dove tail construction and full extension drawer suspension for ease of use and a long life.